At Pomerado Cosmetic Dentistry, we offer a comprehensive range of treatments for children in a comfortable, and fun environment. Our experienced dentists understand that children have unique needs, and that they may have a lot of anxieties about undergoing dental treatment. We take great care in making our procedures as comfortable as possible for all of our patients, and we offer a variety of amenities to help your child feel at ease. Our entire dental team is committed to helping your child maintain healthy teeth and gums for many years to come! Soon after your child has reached his or her third birthday, it is usually a good time for the first dental visit. This will typically involve a very brief oral evaluation and treatment if necessary. Digital x-rays may be taken to check the progress of the teeth and gums, or to reveal any decay that may have formed. When necessary, they may need a professional teeth cleaning and fluoride treatment to protect against decay. 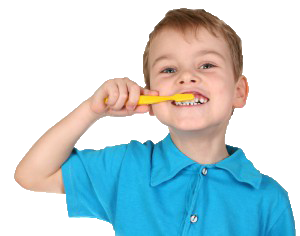 We will also provide a number of helpful tips on the best care for your child’s teeth at home. For very young children who are visiting the dentist for the first time, it may be beneficial to prepare them by reading books about going to the dentist and giving them positive information about what they can expect during the visit. We also encourage you to bring your child in to see the office and take a ride in our dental chair and visit our toy box so that the child can become comfortable before their actual first visit. As your child gets older and the permanent teeth begin to come in, the focus tends toward preventive care to prevent problems from occurring later in life. Dental sealants on chewing surfaces are often used to protect from bacteria from invading the back teeth and causing decay to form. If your child is already experiencing cavities, we can often treat the affected teeth with tooth-colored fillings to eliminate the decay and provide strength and protection. There are many advanced preventive treatments available that can be customized for children and teenagers so that they may avoid future dental problems down the road. We also offer a wide range of procedures that can correct present dental issues that may be affecting the form and the function of your child’s teeth. A variety of general dental care options can address tooth decay, injury to the teeth, gum disease, and other problems. Cosmetic procedures such as porcelain veneers, teeth whitening, and cosmetic gum recontouring can be used to improve issues ranging from teeth misalignment to the appearance of a “gummy smile”. Our dentists customize all of our procedures based on your child’s needs. One of the most important things you can do to promote the healthy development of your child’s teeth and gums is to make sure they are thoroughly educated about oral hygiene. Our dentists will provide you and your child with detailed information on good teeth cleaning habits, how they can reduce the risk of developing cavities, and general tips on maintaining great oral health into adulthood. The dental team at Pomerado Cosmetic Dentistry makes the safety and comfort of your child our highest priority in all of our pediatric dentistry treatments. We know that a good pediatric dentist is one who earns the trust of both you and your child, and our dental experience and gentle nature with children are just two of the reasons you can feel confident that your child is in good hands. If you would like to learn more about our pediatric dentistry procedures, or if you would like to schedule an appointment here at our practice, please contact Pomerado Cosmetic Dentistry today.